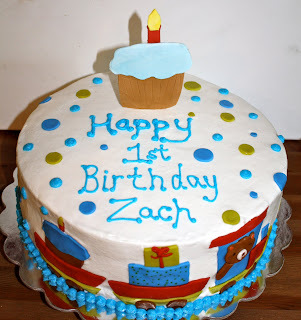 So while I thought I would have to wait about a year to make another birthday cake for little Zach (the Jungle cake from a couple weeks ago), I was wrong. 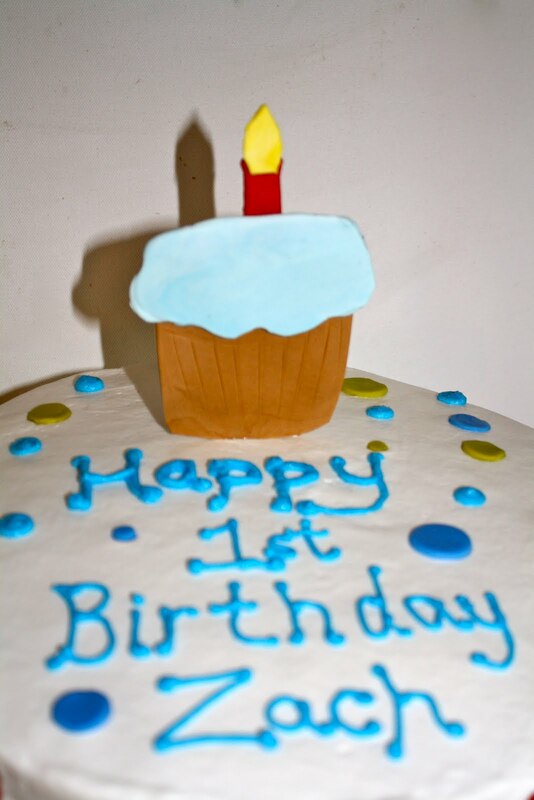 His grandma decided to throw him a 1st birthday party this weekend. 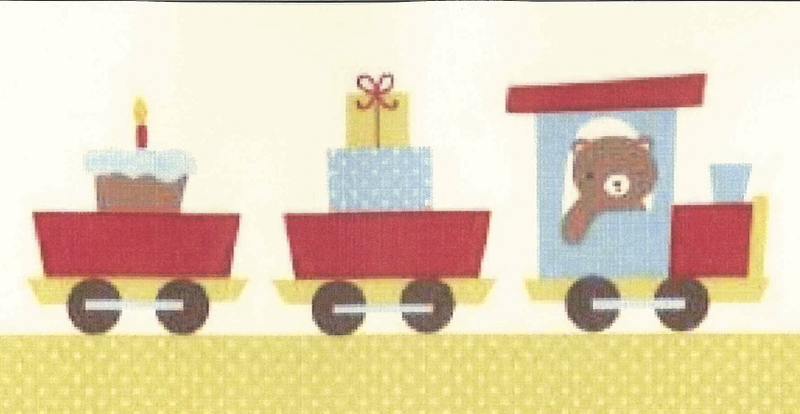 His mom sent me the image from the top of the invitation, and I was able to recreate the teddy bear train on his cake. The cake was lemon with a raspberry and cream filling. Happy 1st Birthday for the 2nd time Zach!